Get ready for some analogue action. 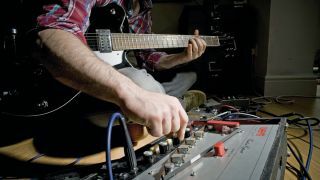 Sounds recorded digitally can sound great, but in many cases, they can benefit from being pushed through an analogue circuit or two before going back into your computer. That's exactly the process that was used to concoct the loops that you'll find in this edition of SampleRadar, which was created with the help of all manner of analogue hardware. The analogue circuit samples are divided into three tempo-themed folders, each of which contains drum, percussion and instrument sounds. The analogue circuit samples are supplied in a zip file, so you'll need to extract them before you can see them. Enjoy!